How does Ms. Langlois use both homogenous and heterogeneous groups? Dr. Walqui talks about the importance of scaffolding quality interactions among students. What are some examples of quality interactions from Ms. Langlois’ class? English Language Learners (ELLs) face the double challenge of learning academic content as well as the language in which it is presented. Teachers have traditionally treated language learning as a process of imparting words and structures or rules to students, separate from the process of teaching content knowledge. This approach has left ELLs especially unprepared to work with the complex texts and the academic types of language that are required to engage in content area practices, such as solving word problems in Mathematics, or deconstructing an author’s reasoning and evidence in English Language Arts. 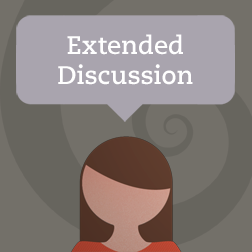 ELLs need to be given frequent, extended opportunities to speak about content material and work through complex texts in English with small groups of classmates. The new, widely-adopted Common Core State Standards and Next Generation Science Standards also call for all students, including ELLs, to master an array of academic language practices that are critical to achievement in content areas. Examples of these academic language practices include: argument from evidence, analysis of complex texts, and developing and using models. At Stanford’s Understanding Language, we have found that ELLs benefit from instructional approaches that treat language and content in an integrated way that is designed to help them build the language skills that they need to succeed in content classrooms, college and careers. Working closely with Denver Public Schools teachers Ms. Emily Park-Friend (Bruce Randolph School) and Ms. Katie Langlois (Morey Middle School), we’re glad we can show through this video series ways that these 7th grade ELA teachers prepare their learners by activating prior knowledge, scaffolding meaning making with complex texts, and developing ELLs’ discipline and academic language practices in ELA classrooms. The classroom video series highlight how ELA teachers can take account of the language demands that ELLs face in content classrooms and help ELLs meet these demands with increasing autonomy over time. As discussed in this video, this means providing ELLs with strategic types of scaffolding, such as graphic organizers, visual aids, peer help, or home language help, and removing these supports as students’ skills develop. This way, ELLs can be given the opportunity and the necessary support to meet rigorous academic standards. 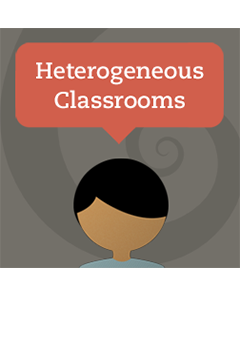 Also, as this video explains, ELLs learn best when they are in heterogeneous classrooms. ELLs need to be given ample opportunities to have extended interaction (such as doing ‘jigsaw’-type activities) with peers of varying English proficiency levels, who can provide ELLs with a range of models for how to use English words or structures appropriately, as well as abundant, personalized feedback on ELLs’ own developing English use. It is best for ELLs if, within their classrooms, teachers sometimes group students heterogeneously according to English proficiency, and sometimes homogeneously, depending on the purpose of the task at hand. Another teaching technique (demonstrated here) that is beneficial for ELLs, is to provide them with relevant background knowledge about a topic to be discussed in class, or activate their existing knowledge of a topic. Besides increasing student interest, this allows students to focus more fully on the instructional goals, rather than being overwhelmed with too much new information at once. It also allows ELLs to bridge new knowledge to old knowledge, increasing understanding, and it helps some ELLs fill in contextual information (such as American political history or cultural details) that they may not have due to coming from different cultural backgrounds. Though teachers have generally attempted to teach ELLs difficult vocabulary before having them read texts, ELLs learn new vocabulary best through extended discussion with their classmates after reading or between multiple readings, as this video explains. Schools and teachers can help ELLs greatly by learning about ELLs’ home cultures and languages, treating cultural and linguistic differences as resources rather than obstacles, and reaching out to students’ homes and communities to build learning opportunities together. Rebecca Greene has a Ph.D. in Linguistics, specializing in Sociolinguistics, from Stanford University, and a Certificate in Teaching English as a Second Language from the University of Kentucky. She has extensive and varied experience as an instructor. Most recently she taught Language and Culture at California State University-East Bay. She has been working as a consultant with Understanding Language for two years. She also works as a Senior Research Assistant for Stanford University and for NORC at the University of Chicago. Understanding Language aims to heighten educator awareness of the critical role that language plays in the new Common Core State Standards and Next Generation Science Standards, and to improve education for English Language Learners. How can teachers use media sharing sites in the classroom?? How can teachers use social-networking sites in the classroom? ?